» Portfolio » Execution of works of new construction for the final finishes of the “I” building of the Diagonal Besòs Campus in Barcelona. Spain. Execution of works of new construction for the final finishes of the “I” building of the Diagonal Besòs Campus in Barcelona. Spain. 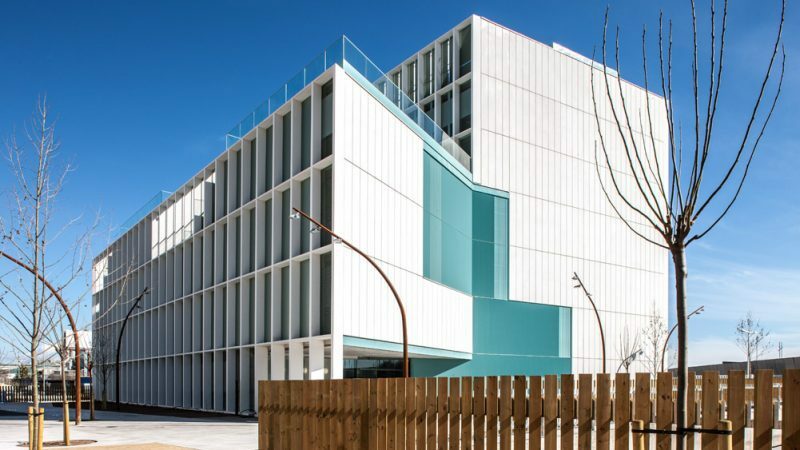 The site is located between the Ronda Litoral and the Rambla Central of the Nou Campus in Sant Adrià del Besòs, Barcelona, very close to the Forum of Cultures. 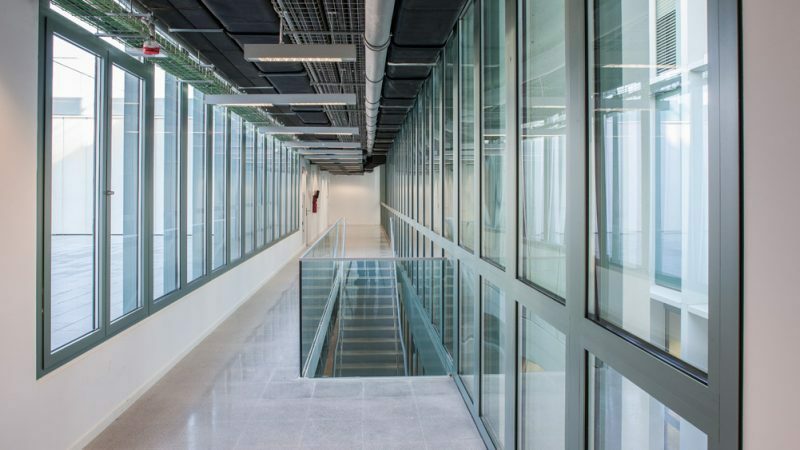 The project forms part of the Diagonal Besòs Campus complex and the areas below ground of all the constituent buildings, which will communicate by forming two floors below ground with continuity throughout the whole of the Campus. 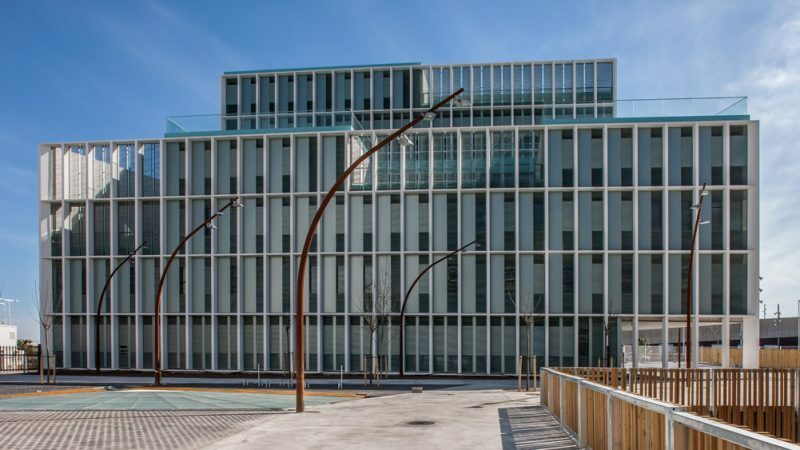 This Campus will be the location for the Polytechnic University of Catalonia and will be an innovative engineering project which brings together and combines teaching, research and the transfer of technology. The idea of this new Campus is that it should be a centre of university teaching and research of excellence and recognized international standing. This “I” building will be assigned to research, with a built area of 7,980.98 m2 (the structure is already built). The complexity of the project is that the works must be completed within a period of 7 months. • Making openings in the structure for the passing of installations. • Formation of various types of façades (opaque metal, GRC panels, etc.) with aluminium carpentry and adjustable lattices. • Formation of various types of roof at different levels. • Internal partitioning, cladding, floorings and finishes. • Installations according to the needs of the building. • Executing 1,652 m2 of cladding on the façade with prefabricated GRC concrete panels. • Executing 1,120 m2 of roofing at various levels. 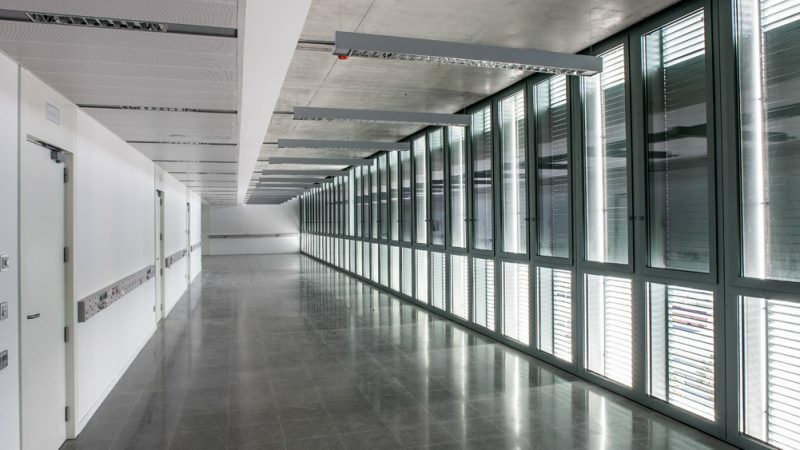 • Executing partitioning in ceramics (7,223 m2) and plasterboard (8,465 m2). • Executing large scale aluminium carpentry with adjustable lattices. • Executing 6,000 m2 of terrazzo flooring. • Executing efficient, high technology installations.